Ayni is a key principal of the Andean spiritual tradition. It is the art of practicing sacred reciprocity. At its core Ayni is the act of giving or paying it forward. Understanding that many of us seek to learn the knowledge and wisdom of the ancients in order to better ourselves and the planet, and also knowing that many are also experiencing financial challenges the following two special one-hour versions of the films Q'ero Mystics of Peru and Ayahuasca Nature's Greatest Gift have been developed. Both films are available on a "pay what you want" basis. The suggested support for both films is $10, but both films can be streamed for as low as 99 cents. If your personal situation is such that you cannot afford anything, please contact me the filmmaker directly and request a 100% free version. Ayniglobal, a nonprofit 501(c)(3) corporation has as its mission to protect and preserve traditional indigenous cultures and ancestral lands including people, animals, plants and water systems. Helping people and protecting culture requires service; preserving lands requires engagement in tribal, local, and national politics. We serve one person, one family, one tribe, and one community at a time. We engage by forming alliances and networks of leaders and professionals who understand the intrinsic value of safeguarding indigenous people and their lands. And, we advocate relentlessly for fair, meaningful, and sustainable policies that protect and preserve land and people. Browse our selection of film packages. Roll over the selections below to learn more about each title and watch a trailer. All titles available with Instant Streaming and HD Downloads! I have often times wondered if ayni really works in the western world, especially in large communities or cities? 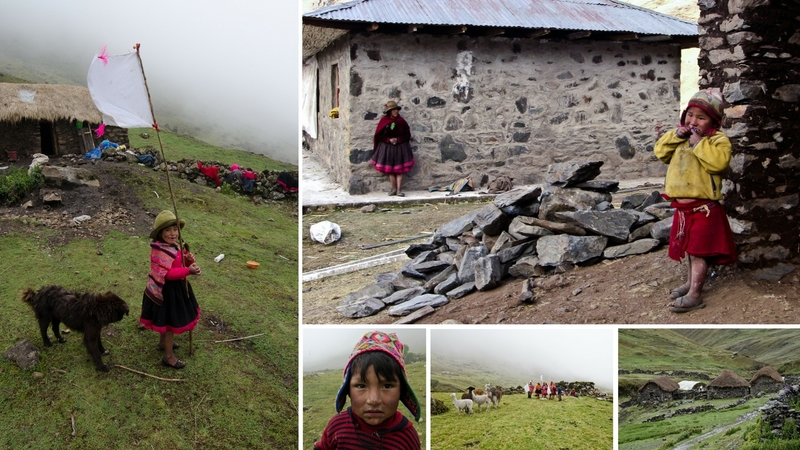 It seems rather obvious that in the small andean communities where ayni has been a way of life that if you help me collect wood and straw and then help me to build a roof on my new stone hut, that soon when you need my help I will gladly offer it back. But in cities good deeds and paying it forward on a regular basis sometimes feels as if the flow of energy can be a one way stream outward and away from you. When I give money to a homeless person, allow an aggressive driver to pass, hold a door open for an elder, praise an employee or give in many ways throughout my day I wonder if the “Bank of Karma” is listening for and recognizing the deposits? Perhaps I shouldn’t have these expectations, but I’m human and while I don’t look for a direct payoff I have been taught that in the end ayni provides for everyone and everyone is taken care of. So, I continue to give and practice ayni. Well, in the last number of months I can say that ultimately ayni does work and it is a positive feedback loop and it does work in large communities, even in the global community. Let me share my story. Several years ago I became friendly with a gal on Facebook who also practices in the andean way. She is a member of the Q’ero Mystics of Peru Group I set up on Facebook for people who want to learn more about the ways of the Q’ero and the Andean Spiritual Arts. Last Holiday season she approached me and asked for my help. She needed someone to edit a film for The Heartwalk Foundation. They are a non-religious not for profit that in their words “partners with indigenous Q’ero communities in Peru on projects that strengthen food security, education, and respect for traditional cultural practices.” I liked what I read about them and agreed to edit the video that would be used to raise funds for an alpaca barn which would protect the animals from the severe weather in the winter ensuring their survival which the Q’ero depend upon for theirs. The job paid nothing and they needed the video in one month. I accepted and also made an offer to anyone who purchased the Director’s Cut version of The Path of the Sun over the holiday season I would donate back 50% to The Heartwalk Foundation. Ultimately, I was able to give The Heartwalk Foundation nearly $400 for the Alpaca barns. Well, if any of you who are reading this story are a capitalist or understand the economics of the western way of life, this approach to making a living seems backwards at best. I’m sure if I presented this concept on Donald Trump’s show The Apprentice I would have been “FIRED” and kicked off the show ;) For me, it was not about the money, but helping the Q’ero who have given so much to me. As far as I know, none of the Q’ero even know I helped promote the video which helped raise funds to save their animals. But I know inside I did a good thing and was happy. So, this is an example of the first part of ayni. I gave and had no expectation of receiving anything in return, but if I’m honest I would say that I hoped “Bank of Karma” accepted the deposit. Well, it sure did and the ayni came back in a completely unexpected way. Several weeks ago I received a call from Penelope Eicher who founded The Heartwalk Foundation with her husband Tim. Penelope invited me to join her and The Heartwalk Foundation team on their annual journey to Q’eros. They are bringing me along to film several mini documentaries about health related issues, namely the need for a healthcare facility and cultural stories of the elders. In the next coming weeks I will be blogging about the projects in detail. We leave on September 7th. Returning to Q’eros has been a dream of mine and I was not sure if that was going to happen anytime soon. But the universe listened and I will be journeying back next month. In honor of the ayni that Oakley Gordon also says “is the organizing principle for the flow of energy in the expanded view of reality of the Andes.” I can say that it is part of my view as well. And in the spirit of ayni I am making the same offer that I did over the last holiday season and that is if anyone purchases the Director’s Cut version of my documentary films at The Path of The Sun I will donate back 50% of all sales to The Heartwalk Foundation to help fund the medical facility that I will be filming. I have never been a person with a lot of patience, but I am glad in this case believing, having faith, continuing to pay it forward, paid off. Ayni works! 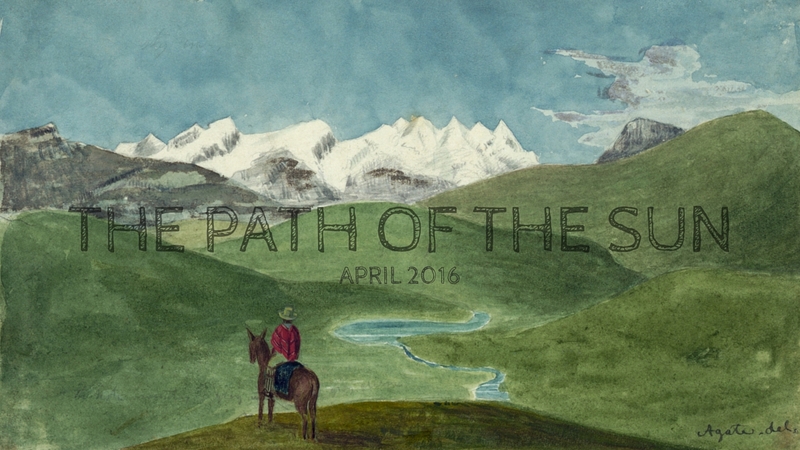 Almost 200 years Ago Alfred Agate painted this image (now in the Public Domain) of a Peruvian man looking towards the sacred Apus of the Andes. What then, did this man think about what was in front of him? Did he see the path forward as a beautiful journey? Were the mountains and cold to be obstacles in his way? Did he think about himself and his place in the universe, where he came from, why, or did he just turn around and head back in the direction he had come from. To me this painting is a beautiful portrayal of the future for all of us. Some see the future as an obstacle or difficult challenge. A mountain to be crossed. Others see the path as a journey into the unknown. Others cannot face it and turn and run. When I cannot decide about what is in store for the future I think of the Q'ero and their plight that they found as part of their daily lives for hundreds of years as indentured servants to the hacendero landowners of Peru. They were cruel. They lived lives of plenty but gave little to the Q'ero except for land at 14,000 feet where they could barely survive. The Q'ero persisted and survived despite the harsh conditions and obstacles they faced. They looked out of their stone huts and saw scenes very similar to that of this man on the horse. They did not turn and run from the obstacles that they faced. Cold, rain, poor growing conditions, little animals to herd and cruel treatment from the landowner. They did not turn back, why? They could not as they had to stay as they were owned by the landowner. Instead they looked upon the beauty of the land, they talked to the mountain spirits, the Apus. The appreciated the beauty and the fruitfulness of mother earth or as they call her pachamama. They performed ceremonies and rituals in the form of offerings. Centuries passed and the words were heard. They received their freedom and while they still struggle with health and poverty issues their lives for the most part have improved. To me they looked towards the mountains as a beautiful journey, A difficult journey, but one filled with beauty. In our daily lives we are faced with many challenges. If we see them as insurmountable, if we turn and run, we will not be there for when it changes. I like to model my thoughts on the Q'ero experience. Be consistent in belief, see the beauty in the challenge and the journey and value the virtue of patience, over time we are guranteed change. Change always brings opportunity, and opportunity eventually leads to abundance. So look to the mountain as it if it is a beautiful journey of discovery and opportunity. If every challenge looked as beautiful as this one, I'd get on the horse everyday and ride forward, cross the river and summit the peaks. As a reminder to fans who requested free movie passes this month they have now been sent. Due to changes with my distributor of the films some of you will receive an email that has a link to watch the films, others will receive an email with a link with access via a coupon. Please check your spam filters and social marketing and purchase folders for the email if it does not show up in your inbox. If you cannot find the email please let me know and I will make sure you get your pass or coupon. Many thanks for your continued support of The Path of the Sun. "Andes, near Alparmarca (i.e. Alpamarca), Peru", "Drawing shows a man on horseback, his back to the viewer, facing toward the Andes Mountains. Alfred Agate participated in the Charles Wilkes expedition to western North America, South America, Australia and the South Pacific from 1838 to 1842. First, let me thank everyone for enthusiastically embracing my films. As you know each month I give away movie passes of a streaming only version of each film in order to encourage a wider distribution of the film and make it available to everyone regardless of income. This month there is a glitch in the system as my distributor VHX has changed its policy on the total number of free copies that can be sent out in a month period and the number of requests this month has exceeded that amount. Not to worry though, VHX has worked out a fair accommodation and everyone who signed up for a free movie pass will receive one. Some of you may receive a coupon and others a direct link, but those are details that I have to worry about. The bottom line is that the movie passes will be delayed until this weekend. I will have them sent by Sunday and I appreciate your patience. In other news, I have decided to recut both films and produce two (2) hr. versions each of Ayahuasca Nature's Greatest Gift and Q'ero Mystics of Peru. If you have purchased a Director's Cut package or the Cosmovision package you will be gifted access to both films for download. For anyone else who purchased the films either individually or in other packages not mentioned above you will be offered a 25% discount price for the new films. The new version of Ayahuasca Nature's Greatest Gift will be available in August of 2016, and Q'ero Mystics of Peru by the end of the year. In 2011 I set off for Peru on a journey that continues today. I spent two years in that magical country and learned a lot about myself. In essence that journey, my journey is one of discovery and exploration of the human condition. In Peru, Nevada City, CA, Malibu/LA, Phoenix and for many years in my beloved Chicago I was and am part of a "community experience." In Chicago it started in the underground art and music scene, in Peru the many foreigners who came through the jungles and mountains united around shamanistic and spiritual practices, in LA it was film, Nevada City - medicinal plant growers, and now in Phoenix there is a plethora of individuals building healthy communities around sustainability and healing practices. The common thread between these communities is a sense or desire to build something better, To create pods or hubs or nodes of forward thinking people who strive to find practices, beliefs and ways of living that are better for humanity as a whole. There is an electricity in the air. A buzz and it is growing. Yet, what I have seen is that while the movement is growing it is amorphous, hard to find, define and connect. It takes a while to find out who is who and what is what and where is where and how is how. It's taken me over a year to connect with this community in Phoenix, and it is different than the communities where I have lived over the course of my journey. Different areas have different focus, but the common thread of making the world a better place remains. 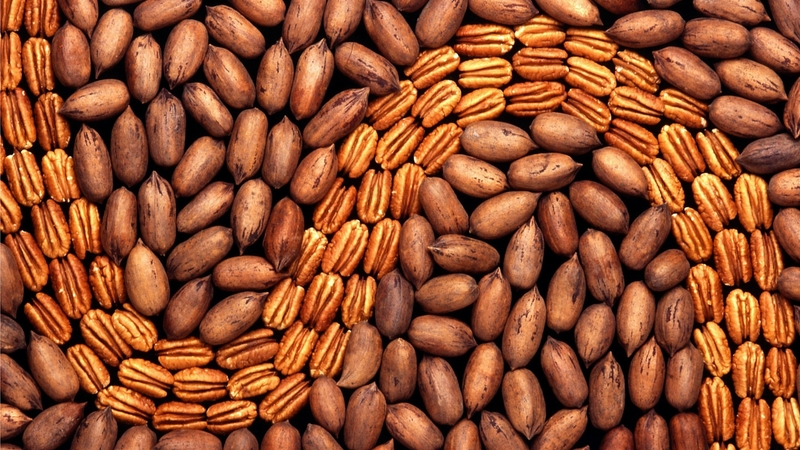 There is a lot of experimentation, like The Community Reserve in Phoenix a barter system that is not based on profit, but building community in a conscious way to effect positive goods and services transactions outside of normal channels. There is also NeoTribal a healthy festival that unites Native American ceremonial practices with art, music and film, the Desert Canvas' Rebirth Festival where I participated in a drum circle with 50 people and yoga in the park with more than 100, I have also befriended the members of the band Clan-Destine who bring together rock sounds with messages of healing in their lyrics. It's an exciting time to be a part of this "conscious community," but as I mentioned earlier it took a while to plug in and connections between the communities I have lived in are not apparent. There isn't a directory or website or other means than word of mouth, Google, Meetup and other apps, but it still takes a while to connect. So, I want to do something to change that. I want to bring these communities together, to connect them and expand their reach, first locally than on a global scale. And, there is a big idea. Let me give you some background first. Last year in March I started taking Djembe lessons from an amazing instructor named Daniel Hirtz, who if you can believe it is a "7 fingered" tabla maestro. He is quite humble and says he is not as good as the maestro's from India, but he is quite an amazing tabla and Djembe player. I have been to many drum circles now and I can say when Daniel starts to play the beats are taken to another level. In my travels with the Q'ero in Peru, and experiences with the sacred plant Ayahuasca I learned that we are all made of energy, everything in the universe is energy and consciousness is energy with awareness. It is life. This energy moves by vibration and drumming is the earliest form of man made vibration. 100's of thousands of years ago man communicated by the drum and the drum kept man in synch with each other and the universe. Drumming is a uniting force through its vibration. This vibration builds community. When you hear a drum it calls you and you go to it. In drum circles I am amazed at how many people come to watch and dance. To make a long story short and bring this discussion back to its purpose, Daniel and I have joined forces and developed a concept for an episodic series about uniting and connecting the conscious community movement. The show can be described as something like "Anthony Bourdain meets the conscious community" I will be writing, producing, filming and editing, and Daniel will be the host. Daniel brings a lot to the table as he is a philosopher and student of consciousness. Daniel's wife Ingrid, along with Daniel's assistance developed and runs Community Cuisine an amazing food service that is community oriented. They create and prepare healthy, organic, vegetarian and vegan meals and provide them weekly in recyclable containers. They are perfect meals for busy people who don't always have the time to cook healthy. The prices are reasonable too. And, every Monday night Ingrid hosts a community dinner that is based on the "Pay As You Can" model. It's up to you. To bring this update to a close, I wanted to ask for your help. I have used the term "Conscious Community" several times in this update. The question to me is "What exactly is the conscious community and how is it defined? Surprisingly there is no wiki on the topic and a Google search brings up little. I have asked people what they think it is and what they say is all over the place. So for the purposes of the show I need your help in defining the term. In this way you, the fans of The Path of the Sun, or The Path of the Sun community gets to participate in helping to create a show that I know you will all love. Everyone we mention it to has eyes that go wide. There are so many topics from sustainable living, to specialty healers, and community activities out there that the idea is a natural and we want to bring it to you on your phone or your laptop or other video display anywhere you are and everywhere you go so you can connect with what you love. Thanks for reading and being a part of my community! I'm really looking forward to bringing you this new web series, which is a natural next step from the films in The Path of the Sun! It's that time of year. The holidays. Christmas. Hanukkah. Kwanza. Millions throughout the world are celebrating. It is the season of giving. There is no other time of the year that seems like everyone is in an "Ayni" state. That is in a place where we think of others first. We give gifts and enjoy the community of friends and family in celebration and look forward to a better new year. In the spirit of giving, last week it was announced that a 2 for 1 offer was being made where for each purchase of The Path of the Sun Director's cut special edition package we provide a second Director's Cut Package free of charge and additionally would donate $25 to the Q'ero Communities supported by the Heartwalk Foundation who is building Alpaca barns to keep the animals healthy during winter cold and storms.The Alpaca is integral to the survival of the Q'ero as they provide the source for all clothing and textiles for blankets, bags and rope as well as a small source of income. The Alpaca also provide the Q'ero a needed source of nutrition. Today, The Path of the Sun is announcing a 3 for 1 special. This is a $165 value for $55, and $25 of your purchase price will still be donated to The Heartwalk Foundation in support of the Alpaca shelters. 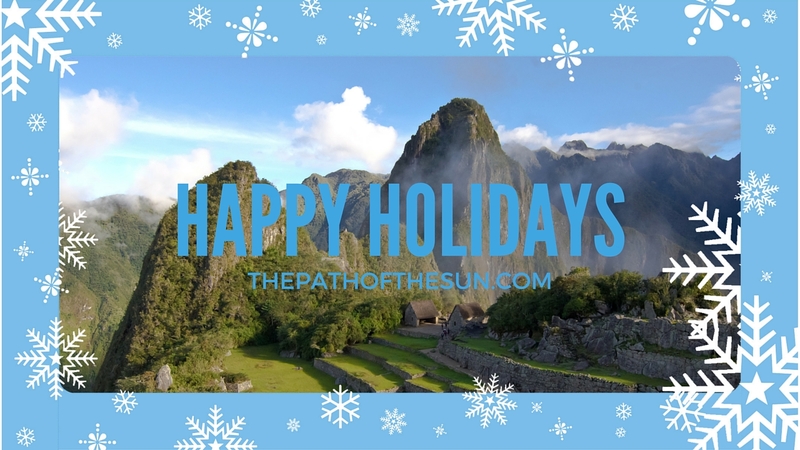 This offer is a fantastic way to see Q'ero Mystics of Peru and Ayahuasca Nature's Greatest Gift, the two films that make up The Path of the Sun and have two additional copies of the Director's Cut Special Deluxe package for gifts to family and friends. The Path of the Sun is a way of life based on the concept of ayni (the act of giving through sacred reciprocal energy exchanges) and other core principals of a mystical practice and belief system from the Andes called the Andean Cosmology. The Path of the Sun also embodies the idea that personal healing, growth and knowledge can be gained through the use of sacred plants. 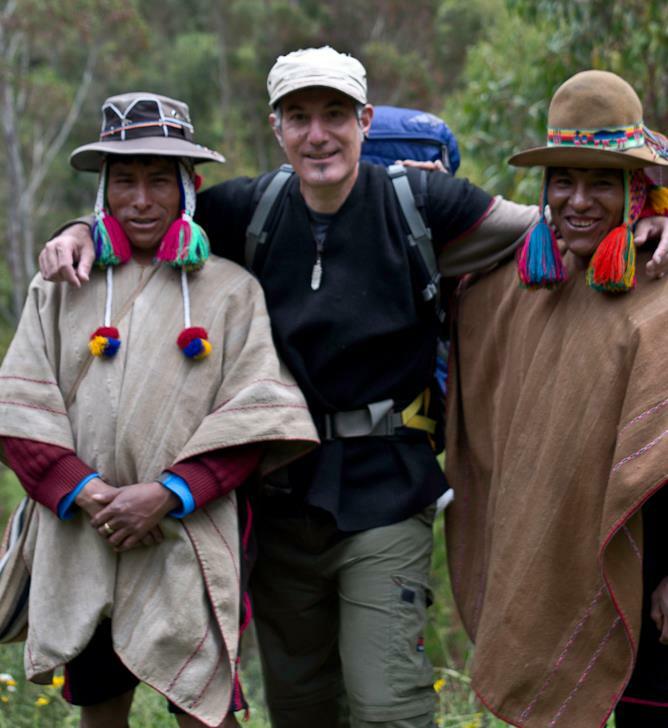 In 2011 I traveled to Peru to work with and learn from the indigenous mountain mystics from Q’eros and the jungle shaman called Ayahuasquero’s. I lived in Peru for two years documenting the practices of the Q’ero and these jungle medicine men and women. 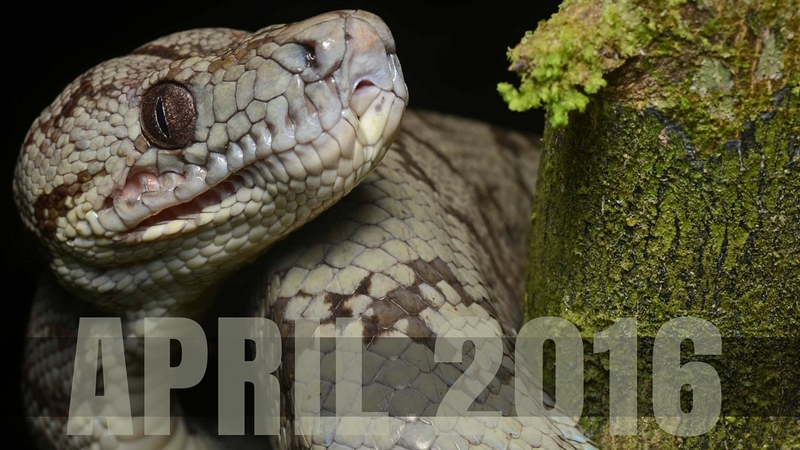 The culmination of this three year project and living experience and over nine months of editing are the two documentary films: Q’ero Mystics of Peru and Ayahuasca Nature’s Greatest Gift. This website is designed so that everyone can experience both films no matter your income level or financial position. In the spirit of Ayni a sacred form of reciprocity practiced in the Andes I have created a “Pay what you can” model starting at just $0.99 and if that is too much, simply email me at sgershberg at gmail dot com and I will give you access to the movies at no cost. That being said to make a series of documentaries is no easy task even in an age where technology is abundant and fairly inexpensive. It is important that there is a bond between filmmakers and fans so that the process of making movies can continue and more films can be produced. On that note my request is simple and that is if you like the films that you see, and are in a financial position to support independent film and filmmakers, please consider a purchase of the Director’s Cut special package which is jam packed with movies, music, bonus footage and more or one of the other packages found on the site. In this manner I can continue to produce new works for you to learn from and enjoy. A special "Pay what you can afford" program that will give you access the the film's from The Path of the Sun and allow you to provide a financial incentive in support of independent film and the work of independent filmmakers. A complete package of the three films that are incuded in the documentary series The Path of the Sun.